Most people in the present time are wondering on how they can earn money with their blog. Today, more and more people are writing blogs just to share their suggestions and opinions on a certain topic. However there are some people who make use of their weblogs and blogs just to earn additional income and cash. Generating money from your blog is quite challenging however you don’t need to deal with self sabotage. If your blog content can provide value, it simply means that your truly deserve to earn money with your blog. For those individuals who are planning to make money with their blog, it is very imperative that you are familiar and aware about the effective and useful strategies that will greatly help you to convert blogging into moneymaker. Once you have a clear and superior understanding about earning money with your blog, it would be easier for you to get hold of a huge amount of money in the future. It is a fact that earning money with your blog is not an easy task to do since it normally requires commitment, passion, time and effort to obtain excellent results in just a short period of time. Here, you will know and learn some of the effective strategies that you should take into account to earn money with your blog. Affiliate marketing is the promotion of others peoples products or service to customers and you earn a commission per sell. 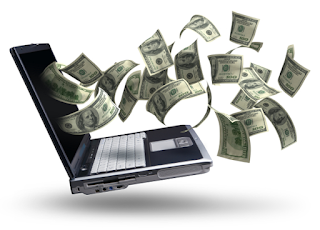 Which is one of the easiest and simplest ways to earn money online. There are many affiliate companies to work with such as eBay, Amazon and cj.com clickbank etc. Kids or young teenager who are unaware of the blogging technology or SEO, Article Writing etc but want to make money online then Paid to Click is the most simplest and easier way for them to earn money online. All you need to do in this program is to click on advertisements and refer your friends to join the program that all. Clicking on advertisement you get paid 0.01 bucks for per click. And by referring your friends to register on the site with your refer link you earn 50% commission for referring your friend, simple as that. But the down side is that the quantity of Advertisements to click on is very less, you only get 4 to 5 advertisements per day to click on and the pay per click is very low 0.01 bucks. Where you make more money is when you refer your friends. Offering reviews on your blogs can be really profitable because you can charge as much as $40 per review of a website, product or service. There are those who need more exposure for their service, website or products and they are willing to pay someone to post a review. The only thing you need to do is make sure your blog is high quality and you have a lot of visitors. The strategies on how to earn money with your blog that are mentioned above will serve as your gateway and key to perfectly acquire the best results that you ought to receive. Understanding the effective ways and strategies on how to earn money with your blog plays a vital role to get hold the excellent outcomes that you desire for. Browsing the web can be a great help to gather further information and details on how to earn money with your blog. I prefer direct advertisements over affiliate marketing. I've seen so many websites doing affiliate marketing and I am planning to work more on that part.